I attended U of M (Minneapolis/St. Paul) and became certified to teach high school French. I taught French to grades 9-12 in Hastings, Minnesota. In 1978 I moved to San Diego, CA, where I lived for 6 years. Madison, WI is now my home; I retired from UW Madison in 2008 and have been teaching fitness classes at the Y, local community rec. centers, and other fitness facilities. For the past four years, I have had a gig teaching fitness in all-inclusive resorts (Jamaica, Mexico, Dominican Republic.) My partner (Phil Gokey) and I enjoy lots of dancing. We recently traveled to Ireland; I am planning a trip to Cuba in June of 2017. Life is good, albeit with some health setbacks (thyroid cancer, major depression, stressful jobs, etc.) I quite smoking, don't drink alcohol, lift weights three times a week, ran 100 marathons (and countless smaller races), ski, swim, bicycle, etc. My goal this year is to learn more Spanish so I can start to speak with my Latino friends (both in Mexico and the States). Looking forward to the 50th class reunion in September-October of this year! Best wishes to all! Janet Hagen added a comment on her Profile. Janet Hagen posted a message. We'll be missing the reunion but hopefully we'll be attending the next one! Best wishes to all from Jan, Phil, and Bruno! Have fun reminiscing and becoming reacquainted! Unfortunately, I am not able to attend the reunion this year. I will miss seeing you and becoming reacquainted with high school friends. Best wishes to all for a fun weekend, much happiness and good health in the years to come, and lots of love from those who surround you. I look forward to viewing photos of the reunion events. Hopefully I will be able to attend any future reunions! God bless all! 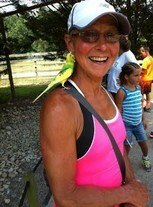 Janet Hagen updated her profile. View. Janet Hagen changed her profile picture. We are enjoying life with a small dog, Bruno, an 8 month old Shih-Poo (Shih-Tzu/Poodle mix). He keeps us jumping and loves cuddling on our laps. His first camping trip is this weekend and he will be introduced to fishing, swimming in lakes, trying to catch all the animals at the campsite, and playing with his pal puppy, Geordie. We recently returned from a trip to North Central Illinois, where Bruno loved digging deep holes in the sand near waterfalls (see photo attached.) We are staying at the host hotel and plan on attending both the Friday and Saturday night events. Enjoy the rest of your summer! See you in September! Janet Hagen added a comment on Gary Hanson's Profile. Janet Hagen posted a message. New comment added. Got this little sombrero in Mexico for my little puppy, Bruno. I need to teach him the Mexican Hat Dance!! Janet Hagen has a birthday today. Asheville is a beautiful area. I had contemplated retiring there also. Congratulations on all your accomplishments. I look forward to seeing you at the reunion and meeting your husband! We had Wheaties at the Graduation breakfast. Breakfast of Champions...in hockey, basketball, football. What a year it was! Janet Hagen added a photo to her profile gallery. New comment added.